Indian shares fell on Wednesday, tracking Asian peers, as investors waited for minutes of a policy meet by the central bank to gauge the direction of interest rates in the months ahead. The minutes are likely to delve into details of interest rates, with a high likelihood that more members softened their inflation outlook, said DBS Group Research in a note. The broader NSE Nifty was down 0.32 percent at 9,621.9 as of 12:10 pm, while the benchmark BSE Sensex was 0.20 percent lower at 31,234.70. 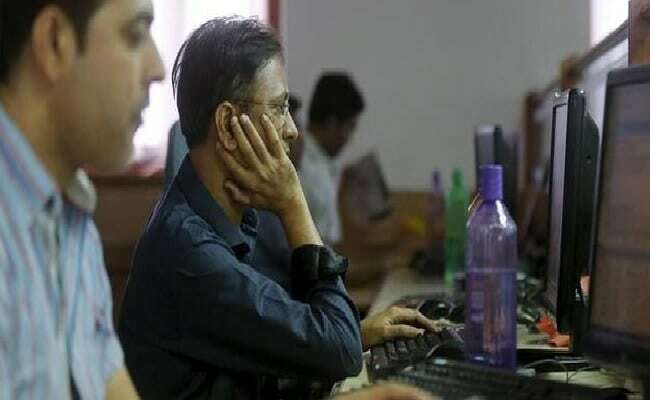 “Markets are just consolidating after seeing a steep run-up, as every now and then markets have hit fresh highs,” said Saurabh Jain, assistant vice-president of research at SMC Global Securities. Oil explorers fell after global oil prices hit seven-month lows, with Oil and Natural Gas Corp falling as much as 2.54 percent and Oil India down as much as 1.91 percent. Airlines stocks however rose on expectations of lower jet fuel prices, with Spicejet Ltd and Jet Airways up about 2.5 percent, and InterGlobe Aviation, parent of IndiGo Air, climbing 1.6 percent. Price of aviation fuel is the biggest cost factor for low-budget carriers. Financial stocks also dragged the NSE index lower for the second straight session, with the Nifty Financial Services Index down as much as 0.5 percent. Larsen & Toubro Ltd rose as much as 1.8 percent after the government’s Specified Undertaking of the Unit Trust of India (SUUTI) sold a 2.5 percent stake in the company for more than Rs. 4,000 crore. Plummeting oil prices put Asian investors on edge, overshadowing a decision by U.S. index provider MSCI to add mainland Chinese stocks to its global emerging markets benchmark index. MSCI’s broadest index of Asia-Pacific shares outside Japan slipped 0.8 percent.